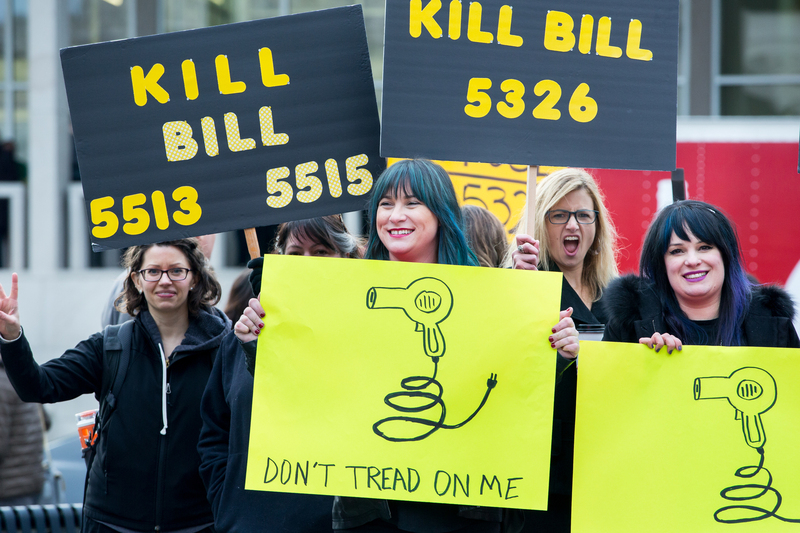 Stylists and cosmetologists visited the Capitol in amazing force to show opposition to Senate Bills 5326 and 5513. Click here to watch my video update! It is truly amazing when the power of democracy motivates a group of people to organize so quickly and efficiently that everyone takes notice. Bravo to the hairstylists, barbers and cosmetologists who came to testify against bills this week that would critically impair their ability to operate as self-employed. But, the fight is not over! There are still four bills in motion — two in the House and two in the Senate — that would create real problems for these small-business owners and others like them. These two bills, along with House Bill 1601 (Creating the “Universal Workers Protection Act,” which is being heard on Monday, Feb. 4th @ 1:30 in the Labor & Workplace Standards Committee) are attempts by Democrats to potentially eliminate the ability for many individuals to be “self-employed” by making it harder to be classified as an “independent contractor” for tax and benefit purposes (e.g. unemployment insurance (UI) and workers’ compensation). These bills impact all types of self-employed individuals who are currently classified as independent contractors, and may also impact self-employed individuals who are currently operating as “sole proprietors” for tax and/or benefit purposes. The specific impact of these bills depends on how a self-employed individual operates their business and their relationship with those they provide services to. Senate Bill 5513 was already heard in committee. Watch the video of the testimony. Senate Bill 5690 will be heard at 8 a.m. on Feb. 5 in the Senate Labor & Commerce Committee in Senate Hearing Room 1 of the John A. Cherberg Building at the Capitol Campus in Olympia. House Bill 1515 and House Bill 1601 will be heard at 1:30 p.m. on Feb. 4 in the House Labor & Workplace Standards Committee in House Hearing Room E in the John L. O’Brien Building at the Capitol Campus in Olympia. You can testify against these bills! Learn how by clicking here. Who would be hurt by these bills? Hairstylists/cosmetologists, barbers, construction contractors, veterinarians, custodians, child care providers, bookkeepers, photographers, private investigators, graphic designers, taxi drivers, farm labor contractors, house keepers, carpenters, dentists, doctors, accountants, lawyers, truck drivers, home care givers, hospitality contractors, delivery services, Uber/Lyft drivers, realtors, builders, pet care services, physical therapists and MORE! 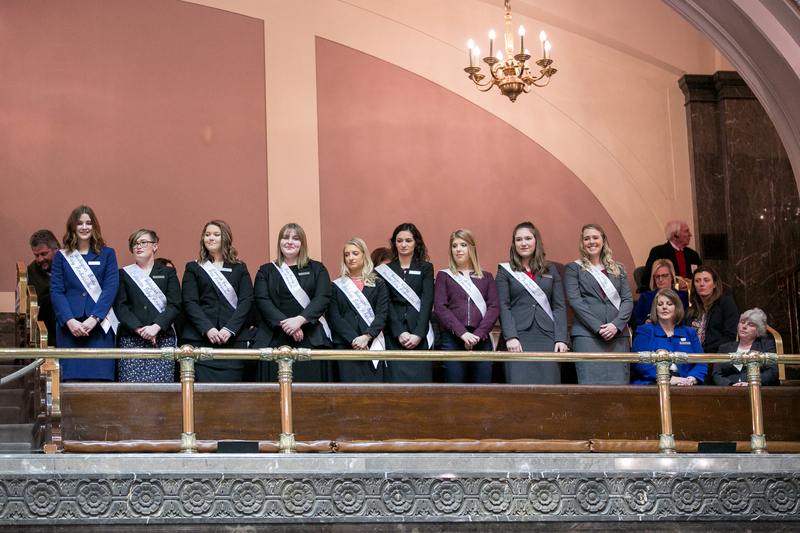 Every year I sponsor a Senate resolution honoring the Washington state dairy industry and the Dairy Ambassadors. This year was no different in that respect. What WAS different is that, for the first time ever, a Democrat member of the Senate voted ‘no’ on the resolution. As a former alternate Dairy Ambassador (we called them ‘Dairy Princesses’ back then), and on behalf of the nine young women who were in the gallery that day representing their families and the dairy industry, I was insulted. I spoke to that member afterwards and conveyed my disappointment in her reaction. Her concern was for diary workers and how no one who had spoken in support of the resolution that day had acknowledged them. I explained that for many dairy families, and certainly my own, WE were the workers. I also asked her why she didn’t take the opportunity to stand up and speak, which would have given her the opportunity to honor those across Washington who work in dairy. I can’t thank the Dairy Ambassadors enough for their leadership, dedication and grace and I am so glad they were able to join the Senate Republicans in caucus so we could honor them properly. 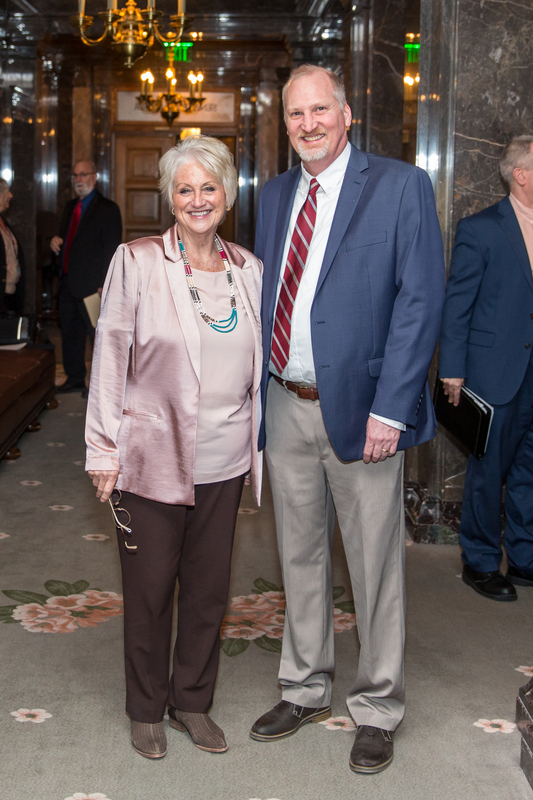 It was an honor to have Pastor Brad Carlson from Yelm Prairie Christian Center deliver the opening prayer in the Senate on Wednesday, January 30.